Apartments in RC "Promenade Expo"
Residential complex “Promenade Expo” was created especially for you, according to the highest standards. Real estate developer the company "BI Group" had designed the infrastructure of Residential Complex " Promenade Expo " in such a way to obtain only positive feedback from the stakeholders. 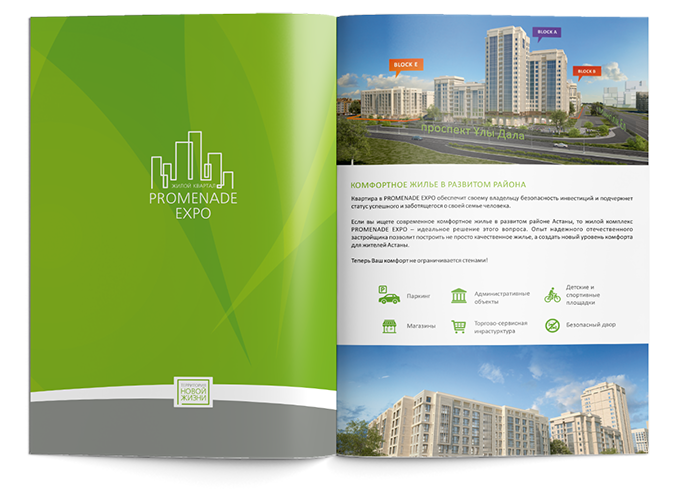 You can find information on location of buildings, feedback information, progress of construction, lay-out of apartments and prices * for apartments in the Residential Complex «Promenade Expo» in our pdf presentation. 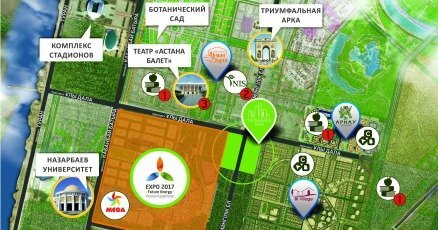 Residential complex «Promenade Expo» is not simply considered one of the trendy houses of the city. 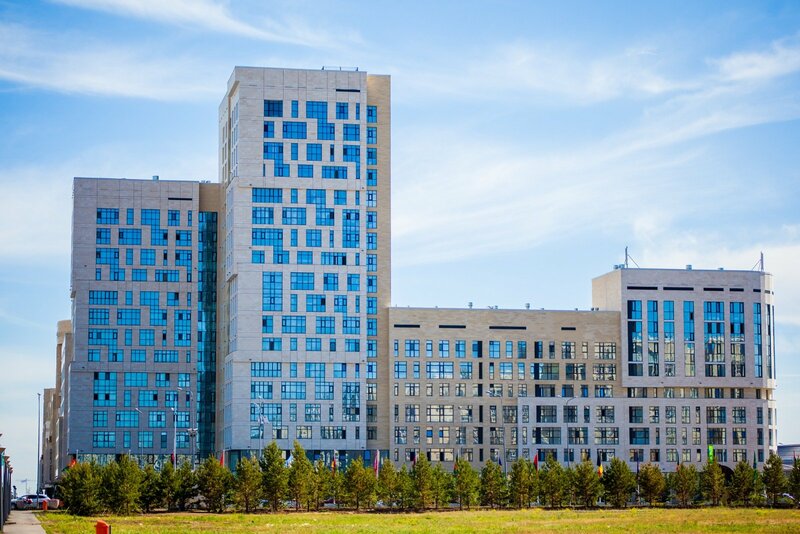 It is favorably located on the left bank of Astana near EXPO-2017 and the cottage town BI Village. The apartment in this complex will suit to any category of the population: lonely and ambitious citizens, newly-made families, wealthy businessmen or elder people. 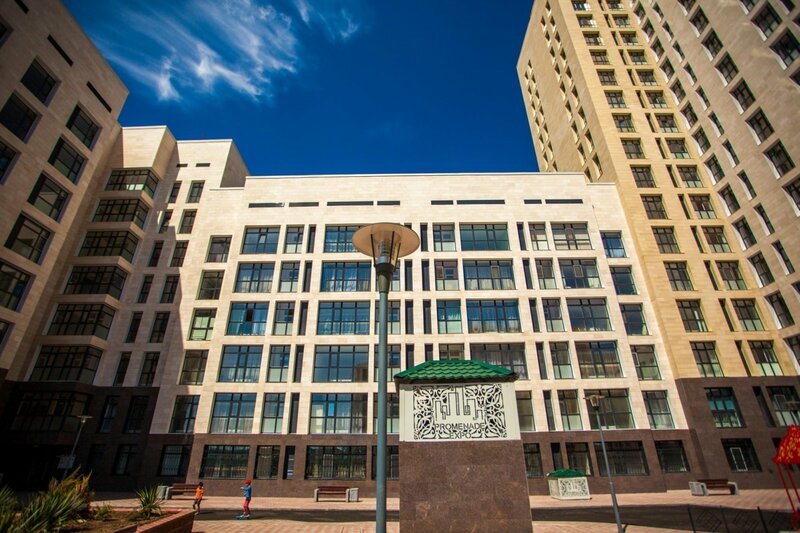 The residential complex consists of 6 blocks, named by the first letters of the Latin alphabet. The number of floors is from 5 to 18 floors. 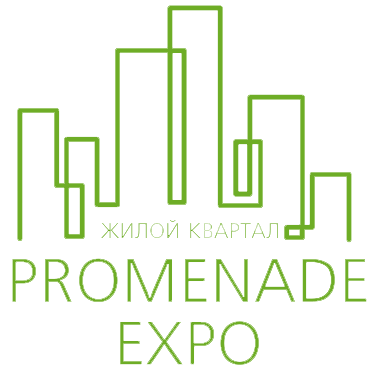 The lower floors are used for office facilities, shops and other service premises. The house is built as monolith. Absolutely even wall coating is formed because of gas blocks. In all houses of complex "Promenade Expo", travertine is used as facade covering. Such material protects the building from excessive moisture and permanently retains heat. The main possession of the complex is its proximity to Botanical Garden. This place will serve as an ideal occasion for hiking along beautiful greenhouses and ponds. In 5 minute drive from the complex there is large shopping and entertainment center MEGA Silk Way for shopping and fun with the whole family. 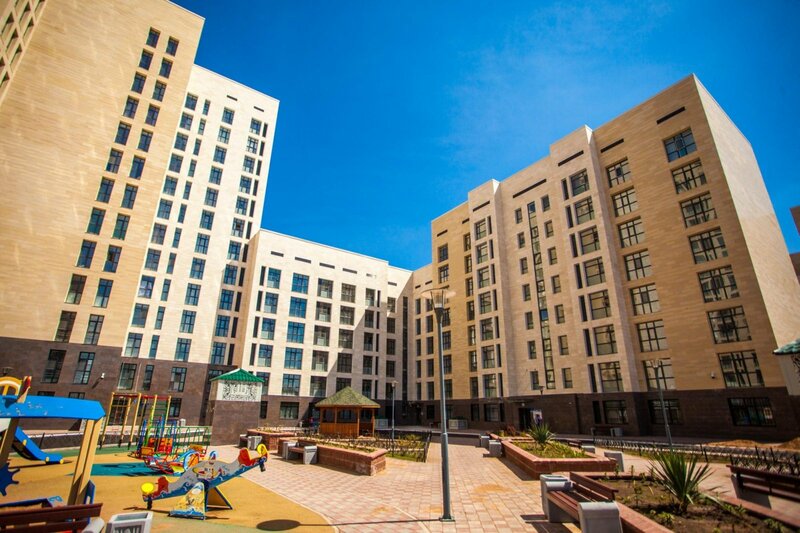 The future residents of the complex will be pleased with International School of Astana in immediate proximity of the house. Amateurs of cultural recreation will appreciate theater "Astana Ballet", cozy adjoining to the residential complex. 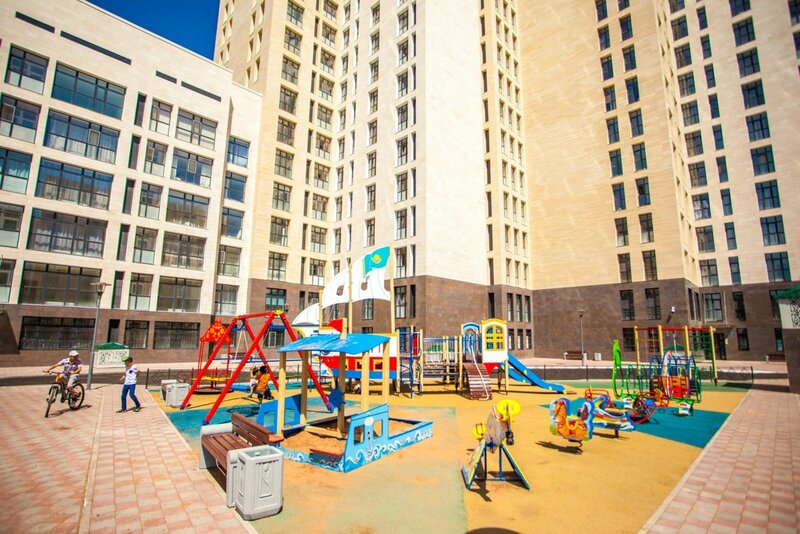 Leisure for children of all ages in the complex is different. Modern children's playgrounds are equipped with sports and playing equipment. It's lovely and safe to spend time in these yards. On the inside part of the complex, move of cars is prohibited. Provide you new level of comfort with RC "Promenade Expo"
• lighting of yards and public facilities in the dark. The last item was successfully implemented using LED lighting with decorative elements. For additional convenience of residents in the house there are noiseless elevators of foreign production. Complex "Promenade Expo" is built taking into account the new and developed infrastructure. Together with high level of comfort and quality, the residential complex is regard as a competitor to other real estate properties. Working hours of the Sales Department are from 9:00 to 20:00 on weekdays, on Saturday and Sunday from 10:00 to 18:00.